The AL East seems destined to have multiple playoff contenders in 2019. There’s even a chance that both wild card clubs come from this division. Boston is coming off the World Series crown. New York coming off their own 100-win season and they might be the favorites for the division. Tampa is in a second tier but could still make the playoffs. Toronto and Baltimore are waiting on younger players to put it together. Can Boston repeat? Or will the Yankees be crowned Beasts of the East? Boston has a legitimate shot to be the first repeat World Series champion since the Yankees won three-straight from 1998-2000. Mookie Betts is coming off an MVP performance and JD Martinez is one of the best hitters in the game. Andrew Benintendi and Jackie Bradley Jr. join Betts as arguably the best outfield in baseball. Just don’t tell the Yankees. Realistically, the line-up doesn’t really have a hole from top to bottom and their bench adds depth as well. On the mound, Chris Sale needs to be back to his healthy self. David Price looked great in the postseason, but will that transition to the regular season? The bullpen might be the one thing preventing a Boston repeat. Craig Kimbrel and Joe Kelly are gone, and Steven Wright was suspended for 80-games. Matt Barnes will take over closer duties and he has a career 4.14 ERA. A strong line-up will keep the Red Sox in the division, but the pitching staff has some questions. While Boston’s bullpen is cloudy, New York’s bullpen might be one of the best in baseball history. Aroldis Chapman, Dellin Betances, Zack Britton, Adam Ottavino, and Chad Green make it seem like the late-innings are all but locked down in the Bronx. In the rotation, Masahiro Tanaka hasn’t exactly been a work-horse, as he has never pitched 200 innings in a season. Luis Severino’s shoulder is a question mark. This means James Paxton is going to need to acclimate to New York in a hurry. 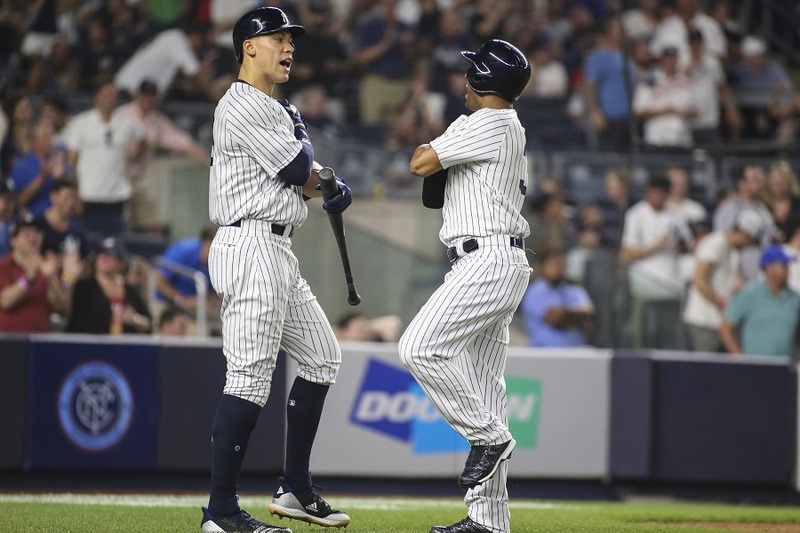 New York’s line-up is anchored by power hitters Aaron Judge and Giancarlo Stanton. Former Twin Aaron Hicks rounds out a terrific trio of outfielders. Gleyber Torres, Gary Sanchez, and Miguel Andujar add depth to the line-up. Troy Tulowitzki is trying to fill in for Didi Gregorius. Could the former Rockies star provide some magic before Gregorius returns? New York’s offense and bullpen should separate them from the pack, and they should win the division for the first time since 2012. Tampa Bay is coming off a 90-win season, and it could be tough to run with the big dogs ahead of them in the AL East. Cy Young winner Blake Snell is joined at the top of the rotation by Charlie Morton and Tyler Glasnow. All three of these pitchers will be relied on heavily if the club is going to make any kind of run at a playoff spot. The Rays official depth chart only lists three players in the rotation and then a bunch of arms in the bullpen. Tampa created the opener strategy last season and it seems likely for the club to use this strategy again in 2019. Mike Zunino will take over behind the plate after years in Seattle. He joins a young core that includes the likes of Willy Adames, Austin Meadows, Yandy Diaz, and Avisail Garcia. Younger players can be a fickle bunch. Sometimes they can come together, find some magic, and put together some great performances on the field. Other times, they can get into prolonged slumps. Tampa can’t afford a slump in a top-heavy AL East. Toronto’s biggest excitement this season will come when Vladimir Guerrero Jr. makes his much-anticipated debut. The team will keep him in the minor leagues until they can pick up an extra year of service time because the Blue Jays don’t have much of a shot to compete this year. Bo Bichette, another top prospect, will also make his debut in 2019. For now, the likes of Justin Smoak, Kevin Pillar, and Kendrys Morales will hold down the fort. Marcus Stroman and Aaron Sanchez will lead the rotation. Stroman is looking to bounce back after pitching to a 5.54 ERA and a 1.48 WHIP. He also failed to reach 200 innings pitched for the first time since 2015. Sanchez has pitched fewer than 150 innings the last two seasons combined. Toronto hopes the 2016 version (192 IP and a 3.00 ERA) of Sanchez shows up again. Toronto has a great farm system, but the players are just starting to emerge this season. If you think things got bad in Minnesota in recent years, think about the Orioles losing 115 games last season. That’s a whole lot of nothing happening at Camden Yards. Manny Machado was dealt away and found his way to San Diego this off-season. Chris Davis and Mark Trumbo can hit for some power, but Davis is coming off a horrific season at the plate. Dylan Bundy, Andrew Cashner, and Alex Cobb are at the top of the rotation. Those three arms might be able to keep Baltimore in some close games. However, it seems more likely for this team to be on its way to another 100 losses. What do you think about the AL East? Can the Yankees beat out the Red Sox? Does Tampa have enough for a Wild Card spot? Leave a COMMENT and start the discussion. It's kinda insane what Tampa was able to do inside this division last year and I hope they can keep it up. They have a bullpen full of no-names that gets outs, they've gone with a bunch of young position players and DFA'd the bigger name players, and it somehow works. They trade their best guys away (Chris Archer) and they make things work somehow. I really want to see this team make an unlikely playoff run.